Abstract: This piece examines the political landscape around the SegWit2x hardfork. Although some see SegWit2x as a sensible middle ground compromise, others see this kind of bargaining as the worst possible outcome. SegWit2x is a plan to double Bitcoin’s capacity limit. SegWit2x should not be confused with SegWit itself, which was a capacity increase and upgrade, that has already been successfully activated on Bitcoin. SegWit2x is an increase in the maximum amount of non witness data per block, to 2MB from 1MB (or an increase in the new block weight limit to 8M from 4M). This should result in 2MB of effective capacity if users do not upgrade to the new SegWit style transactions or 4MB of effective capacity if SegWit is used. Unlike SegWit, the SegWit2x upgrade is an incompatible change to Bitcoin’s consensus rules, known as a hardfork, which means it may result in the launch of a new coin. Bitcoin holders prior to the fork will receive both “original Bitcoin” and “SegWit2x coin” after the split. In many ways, this is very similar to the recent Bitcoin Cash hardfork, both with respect to the capacity increase and the launch of a new coin. 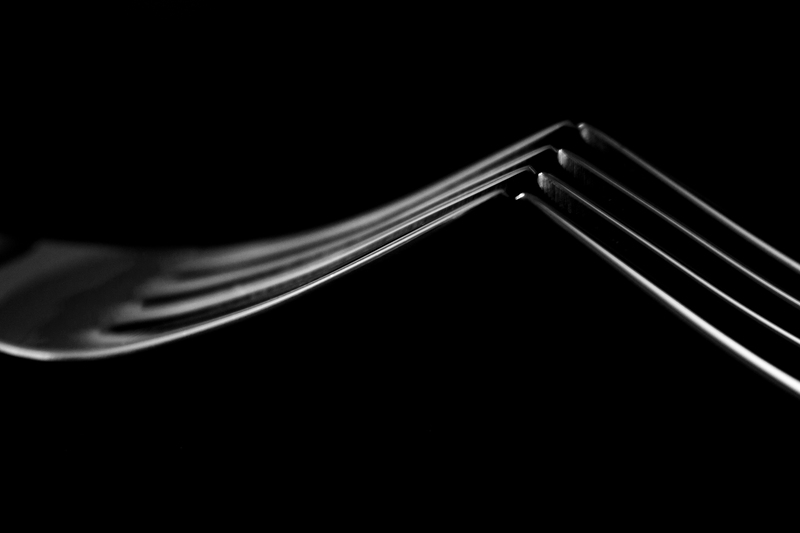 The hardfork is expected to occur on around Tuesday 21st November 2017. The SegWit2x proposal arose out of the New York Agreement (NYA), which took place in May 2017. There are 56 signatories to the agreement, including large payment processing companies like BitPay and Coinbase. Almost all of the largest Bitcoin mining pools signed the agreement. Miners can show their political support for the agreement by adding an “NYA” tag into the Bitcoin blocks they produce. In the last three weeks, around 94% of blocks flagged support for the NYA. However, critics of the NYA could point out that 33 of the 56 signatories, around 59%, are portfolio companies in the Digital Currency Group (DCG), an investment company run by the principal instigator of the NYA. Therefore one may argue the signatories do not represent widespread support across industry. Although some DCG portfolio companies did not sign, indirectly indicating that portfolio group companies were not forced to sign. Signing letters indicating support for a hardfork, is not necessarily a new phenomenon, indeed five of the major signatories of the NYA have already backed out of a previous hardfork agreement. BitPay, Coinbase, Circle, Xapo and Blockchain.info, all signatories of the NYA, signed an earlier letter in August 2015, where the companies committed to a hardfork attempt, only to eventually renege on that agreement. The infrastructure company BitGo also signed the August 2015 letter, but did not sign the NYA, although initially it was erroneously included as a signatory. On 22nd August 2017, one of the signatories, Bitwala, announced that they would not follow the agreement. On 31st August, one of the mining pools who signed the agreement, F2Pool, announced their intention not to support SegWit2x. Although as it stands, this pool still has the “NYA” flag in its blocks, but says it plans to remove the flag next time it restarts its servers. On 1st September, the CEO and founder of another company who apparently signed the NYA, Wayniloans, Tweeted that they never agreed to all of the NYA and that the agreement changed after Wayniloans signed it. Although many businesses agreed to support SegWit2x, it does not appear as if supporters of the agreement have sought the support of users or Bitcoin investors. Many seem to feel that there was a lack of user engagement in the NYA process or even the pretense of requiring user support. SegWit2x was therefore seen as more of an ultimatum, than a proposal, by some. Many users appear to feel that SegWit2x is trying to force them to support the new coin, rather than taking a more friendly approach of inviting them to opt in. Bitcoin users typically like to feel empowered, which is why many of them initially became involved in Bitcoin, rather than using the traditional financial system. Therefore SegWit2x may alienate some users and investors, who are unlikely to want to follow the new coin. The majority of Bitcoin developers oppose the NYA. When asked, almost all of the developers of the Bitcoin Core project indicated they do not support it. The Bitcoin Core project will also not implement SegWit2x, despite apparently needing to correct misleading statements indicating that Bitcoin Core supports SegWit2x. The new version of Bitcoin Core, 0.15, will attempt to ban SegWit2x peers. Some people have misinterpreted this as an attempted political move against SegWit2x, by partitioning it from the network early, however this is not the case. Core nodes banning SegWit2x nodes is beneficial for technical reasons. Since Core will not be following the SegWit2x chain anyway, it is actually helpful not to connect to SegWit2x nodes, so that SegWit2x clients have better connectivity to other peers who do follow the SegWit2x chain. Prior to the split, non upgraded Core nodes will act as a bridge between SegWit2x clients and Core 0.15 clients, such that no early network partition occurs. As for businesses and exchanges who did not sign the NYA, most are yet to comment. However, some major exchanges and trading platforms, including BitMEX, have published standards about minimum technical safety requirements necessary for a hardfork coin to be supported. As it stands, the SegWit2x proposal does not seem to meet all of these requirements, therefore many exchanges may be unable to even list the new coin, let alone support it as an upgrade to Bitcoin. However, there may be time for SegWit2x to fix these issues before the hardfork date. There were two parts to the NYA, part 1 was to activate SegWit, while part 2 was to do a hardfork within six months. SegWit has recently been activated on Bitcoin. Although there is no objectively true answer to this question, people on either side of the debate have been arguing which political circumstances caused the successful activation of SegWit. Supporters of the NYA argue that since SegWit has activated, part 1 was successful and that therefore there is positive momentum behind the overall SegWit2x proposal. Others argue that this is not the case and that the activation of SegWit was primarily caused by a User Activated Soft Fork (UASF) . The SegWit activation client was originally released on 27th October 2016 and miners had not activated the proposal by failing to indicate they had upgraded, for almost 10 months. A UASF client, called BIP148, was being promoted in some sections of the Bitcoin community. This UASF client made it mandatory for miners to flag support for SegWit by 1st August 2017, or a new coin would be launched. The SegWit2x client adopted BIP91, another proposal which also made flagging support for SegWit mandatory. BIP91 activated on 21st July 2017, which then required all miners to flag support for SegWit on 26th July 2017, just 5 days before the 1st August deadline. Detractors of the NYA use these timings to push the narrative that the UASF brought about the successful activation of SegWit, not part 1 of the NYA. However, this issue only matters from a political point of view and has no technical significance. Many may also argue that the launch of Bitcoin Cash also fundamentally changed the politics of the situation. In our view, Bitcoin Cash has made SegWit2x slightly less likely to succeed. Firstly Bitcoin Cash delivered almost all of what the “larger blockers” wanted, namely it delivered a hardfork to larger blocks. Many therefore may not see the need for yet another hardfork, which does almost exactly the same thing anyway. In addition to this, Bitcoin Cash has some technical advantages over SegWit2x, with better safety features included in the hardfork and better scaling technology. Bitcoin Cash delivers many of the technical benefits of SegWit, as we explained in our earlier piece on the subject. Philosophy This group wants to ensure that any hardfork (with the new coin becoming known as Bitcoin) only occurs with widespread agreement across the entire community and in a non disruptive way. This group wants to prioritize user “financial sovereignty” This group supports a much larger blocksize limit and would like to prevent full blocks. This group wants to prioritize the user experience and growth. This group doesn’t mind which strategy is used to increase the capacity of the system. They want the coin to increase in value. This group wants to financially benefit from the ingenuity, hard work and passion of the other two groups. For a coin to succeed a passionate grassroots movement, willing to promote and defend the system is vital. Abandoning both of these passionate groups (group 1 and group 2), may not be a smart move for the free riders (group 3). If the most enthusiastic and ingenious Bitcoin supporters are abandoned, the free riders may eventually find that they are not left with anything useful at all. Bitcoin is an ambitious project, aiming to take on some of the most powerful financial systems in the world. The Bitcoin industry should not underestimate the challenges and threats that will emerge. It is naive to think that industry can make this project succeed alone. Although they may not always be the easiest people to deal with, the passionate, tenacious and dedicated early adopters, investors and developers are a necessity. A “forced compromise”, like SegWit2x, which undermines what many want from Bitcoin, may either make some of these people leave or at least lose the passion and fighting spirit, which may be needed in the long and bumpy road ahead. At first glance, SegWit2x seems like a sensible middle ground political compromise, with both sides making some sacrifices. One may think a middle ground compromise coin makes some sense and some large corporates appear to have rallied around this idea. However, many are interested in Bitcoin precisely because they see it as being resilient against these kind of political compromises, which are already a common occurrence in the traditional financial system. Rather than being a moderate compromise, these group 1 people see the NYA as the worst case scenario, precisely because it’s a forced political compromise. However, being against this kind of compromise may be an unrealistic expectation and the real world is full of compromises. The group 1 people may simply be too extreme or unreasonable. It is certainly true that resilience against political compromise is an unusual and weird characteristic, not common in the business world. However, to many this is what makes Bitcoin fundamentally very different and unique compared to other forms of electronic money and other systems. And if we do not think Bitcoin has dynamics that are fundamentally different to typical business scenarios, then why bother with Bitcoin at all? Afterall the US Dollar appears to work pretty well. Perhaps what this comes down to is how ambitious one is for Bitcoin and how unique one thinks it can be. Perhaps to some people, the success of SegWit2x could mean these several years are up. But we do not expect all of these people to give up without a fight.